At last week’s Prep to Year 3 Parent Information Evening, our Headmaster, Ross Featherston, reinforced key elements of our Strategy, highlighted our academic progress and emphasised the need for us as a learning community to continue to aspire for excellence. We were also fortunate to hear from Dr Ray Swann, Deputy Headmaster, Head of Crowther. Ray gave us an overview of our approach to Teaching and Learning and a number of Growth and Wellbeing initiatives we are participating in across the School. I encourage parents to read the Crowther section in the newsletter on a weekly basis to ensure you are aware of what is happening with Teaching and Learning across the School. Thank you to all parents for attending the evening – we look forward to your ongoing engagement and commitment. Thanks also to the Prep to Year 3 teachers for their various presentations. I enjoyed the opportunity to chat with parents and listen to the feedback. I have a sense that, on the whole, we have had a positive start to the school year. Thank you to Brigitte McGregor and the Junior Parents’ Group for their organisation of the social component of the evening. The Year 4–6 Parent Information Evening tonight will be held in the G. B. Robertson Hall; please ensure you are seated for a 7.00pm start. Our Outdoor Education Program involves all Prep to Year 6 boys and is a compulsory component of the BGS curriculum. The diversity, skill development and range of opportunities our boys experience is excellent. In Term 1, the Year 5s will be away 13–16 March. Year 5 parents are invited to attend an information session presented by the Outdoor Education team in the G. B. Robertson Hall on Tuesday 27 February at 8.45am. The Prep to Year 6 Parent/Teacher Discussions next Wednesday 21 and Thursday 22 February provide an opportunity to further develop relationships. Online bookings and instructions have been emailed to parents. The Prep to Year 6 Swimming Carnival will be held on Friday 23 February, beginning at 9.30am. All boys are expected to compete in BGS bathers, which can be purchased from the Uniform Shop. The Hub is updated fortnightly. Please login for the latest curriculum information, including homework tasks, information about what boys will be learning in the next two weeks and questions to ask your son to assist with learning in the classroom. Parents are encouraged to access the 2018 Junior School Handbook, which will answer many questions and assist with your son’s transition. Please click here to view. When entering and exiting the Grosvenor Street carpark, please note that the drop-off/pick-up zone is on the left-hand side of the driveway. Parents who use the drop-off/pick-up zone will need to approach this area via the northern (Oval) side of the tree at the far end of the carpark. The exit lane is on the right-hand side. These areas are clearly marked. To assist with the flow of traffic, we ask all boys from the ELC and Junior School not to play on the adventure playground after school; as parents, please support this request. The safety of our boys is paramount. This week at the ELC, we have been getting into our regular routines as our Specialist classes have begun. This year, we have added Wellbeing into the boys’ timetable. Each class will have one lesson per week in the School’s beautiful Wellbeing Centre with Claire Clarke. (As the ELC3 boys are still settling into their groups, we will begin their Wellbeing sessions in the classroom; however, once the boys feel more confident in their surroundings, we will walk them over to the Centre for their class.) Literacy classes also began this week (Tuesday mornings), when Claire introduced the boys to rhyme and nursery tales. Valentines’ Day was full with love and laughter, as the boys made special art pieces to remind us all to tell our loved ones how special they are. Buddy sessions also began this week. Each ELC boy is matched up with an older Buddy for the year. These sessions are often one of the boys’ favourite experiences during their program, and having an older mentor who is like a ‘big brother’ is very precious in their lives. A quick drop-off helps the boys settle into their school day. Please ask staff if you need help supporting this transition. We have noticed that the boys are settling quickly once the busy arrival has quietened down. Thank you to all families who have supported our food-allergy alert. Please avoid packing seafood, shellfish and all nut products in your son’s lunch. Also, please cut grapes in half. The boys have been wonderful about coming to the teachers to alert them if they notice any foods that need checking. This week, the boys loved sharing their learning with Peter Tellefson on Tuesday and Ross Featherston this morning, and they’re looking forward to having Dr Ray Swann’s visit on Friday. It is lovely to see how keen the boys are to share their news and chat away. Our Long-Day Care program will be emailed out shortly, listing all the exciting afternoon activities for the coming month. If you need to contact Long-Day Care, the number is 0409 400 198. What a wonderful week we have had thus far in the ELC! Click here to view this week’s Parenting Tip: Raising ‘Make me’ kids. In Design and Technology classes, the Year 1 boys have been challenged to create a maze made from wood. They have to design a maze that will guide a marble from the beginning to the end, without the marble dropping down one of the traps. The boys must first research other designs before eventually creating their own original one. There is a particular focus on the safety issues involved when using tools and on how to use the tools effectively. After practising measuring techniques, the boys need to saw cuts in the correct places and hammer in nails to join the wood. Every boy will make their own maze but they need to assist their partners throughout the construction phase. They soon realise that through cooperation, the task becomes much easier. Once the mazes are completed, the boys will time themselves when playing with each other’s games, with the goal being to complete the challenge in the quickest time possible. The boys of 3 Burke have settled into their new class with ease and have taken on the challenge of being a successful Year 3 learner. They have been particularly good at adapting to new classroom routines and expectations. The boys have demonstrated that they can be ready to learn each morning by sitting at their tables reading calmly and quietly with their homework, spelling and Record books out on their tables. A highlight of Year 3 so far has been the use of an array of technologies to support the boys’ learning. The boys have been eager to use the iPads to take on mathematical challenges on the iMaths website. These challenges improve boys’ automatic recall of addition, subtraction and multiplication facts, and encourage them to develop their ability to work together as a team. The boys have also enjoyed exploring the website Go Noodle during Mindfulness sessions. They are led through a series of guided and interactive meditations or stretches and this is helping to calm and focus them in a new way. Each Friday, the boys participate in Year 3/4 sport and apply their skills learnt in PE to a range of sports. It was fantastic to see so many boys having a go and trying their best in the House Swimming Trials last Friday. The boys demonstrated that they could be organised by bringing the correct uniform, applying sunscreen and listening out for their races. We’re looking for short testimonials to blow our own trumpet. If you have something to say, please send it to me at ndodanwela@brightongrammar.vic.edu.au. Even a few words is enough – we’d just love to hear you! A reminder that the Friends of Music Social Evening will be held on Monday 26 February from 7.30pm in the Robert Sanderson Centenary Hall. All Prep to Year 12 Music Parents are invited to enjoy drinks and canapés, performances by BGS music students and presentation of 2018 Music Leaders. RSVP here by 21 February. BGS Breakfast Bios – You’re Invited! Please join us for the first BGS Breakfast Bio for 2018 on Thursday 22 March at The International of Brighton. These breakfasts are a great way to meet other business-minded people in our community and to hear an inspiring story from a guest speaker. Our speaker at this breakfast is Dr Lior Rauchberger, who is equally passionate about technology and innovation, and has found a way to merge the two for a living. Starting his working life as a medical doctor, Lior is now an entrepreneur of some calibre investing in companies that apply new technologies in new ways in health, business and education. These companies include his rapidly expanding consumer genetics business myDNA, and educational technology business Vivi, which is making an impact in classrooms around the world – including at BGS. 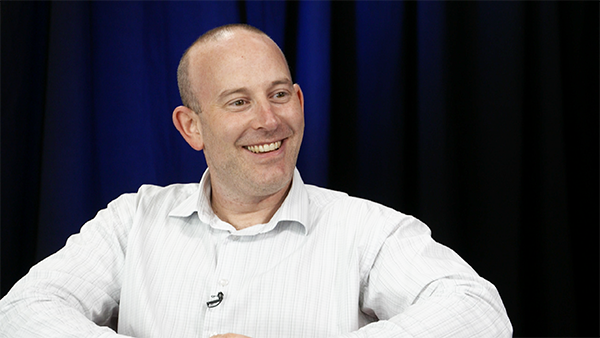 Highly regarded as Triple M’s technology commentator, Lior speaks regularly about the impact of technology in our lives now and well into the future. Lior will share with us his amazing entrepreneurial journey to date, what he loves about being an entrepreneur, how he chooses his business ventures, what’s next and so much more! Click here for further information and to book. As seats are limited, we suggest you book early. Particular thanks to our major partner, Berman Homes, whose generous support of our BGS Breakfast Bios program enables 100% of your attendance fee to be directed to the BGS Building Fund. Thanks to those who have already volunteered – we have had a fantastic response from a number of year levels, but the JPG are still looking for more Year-level Representatives. For Year-Level Reps, we need at least one volunteer from each class, but 2–4 people per year level is great. Representatives work as a team to coordinate social events within their year level and arrange volunteers for one event per year (e.g. mustering four volunteers for delivering food to classrooms for end-of-term lunches). Tasks are neither onerous nor time-consuming and it is an opportunity to connect with and contribute to the BGS community. Please email juniorparents@brightongrammar.vic.edu.au if you are interested in being involved, either by representing your year level or in any other form of volunteering. Boys take great pride when following in the steps of their fathers or grandfathers. 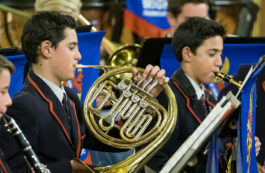 When Old Boys enrol their sons at BGS, the School also takes much pleasure in celebrating this multi-generational link. To assist us, we ask parents of our multi-generational BGS boys to click here and complete the ‘BGS Generations Form’ so that the School can acknowledge our current second-, third- and fourth-generation BGS boys. If you have already completed this form, there is no need to complete it again. Please return completed forms to Peter Toms at the BGS Development Office, 90 Outer Crescent, Brighton Vic. 3186 or by email to ptoms@brightongrammar.vic.edu.au.